Skye Gravestones | Mary (Macmillan) & Neil Macgillivray, s. Ian. Mary (Macmillan) & Neil Macgillivray, s. Ian. 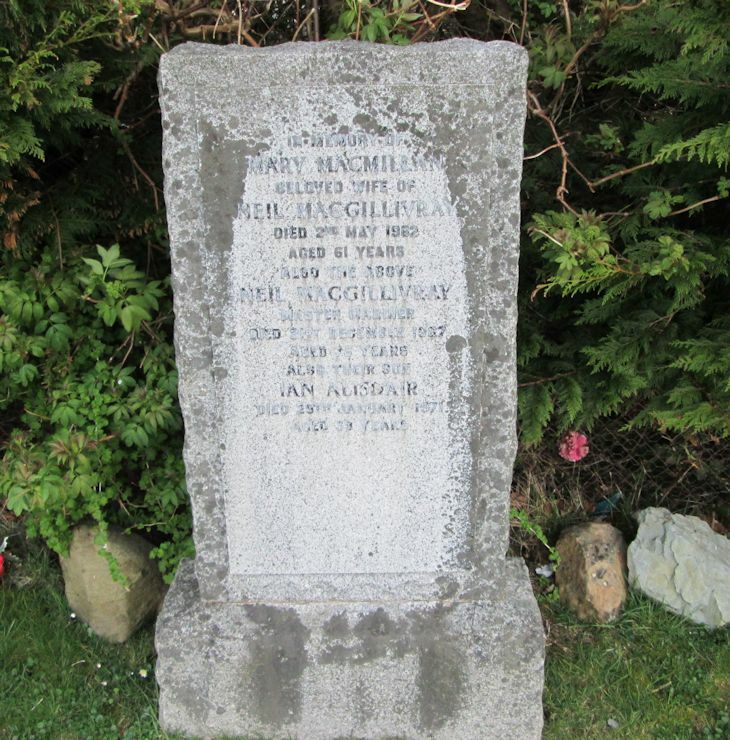 In memory of/MARY MACMILLAN/beloved wife of/NEIL MACGILLIVRAY/died 2nd May 1962/aged 61 years/also the above/NEIL MACGILLIVRAY/master mariner/died 21st December 1967/aged 75 years/also their son/IAN ALISDAIR/died 29th January 1971/aged 39 years.